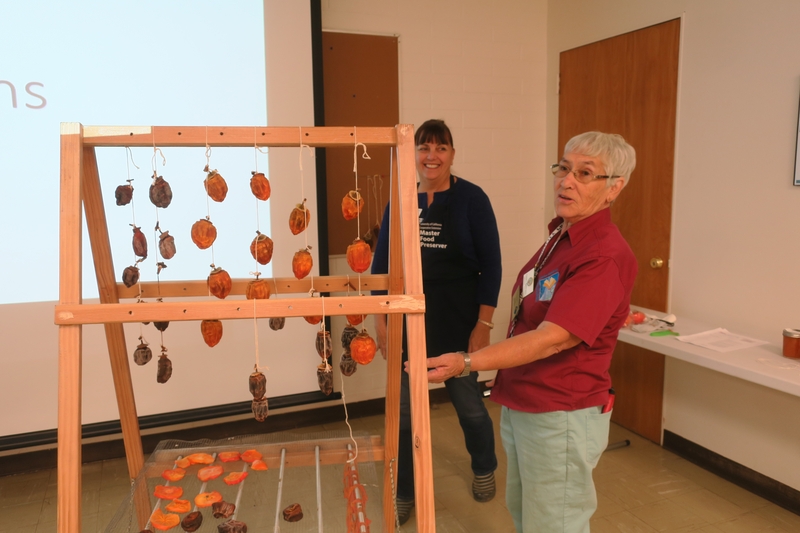 2018 was a tough year on the Persimmon harvest here at South Coast REC. 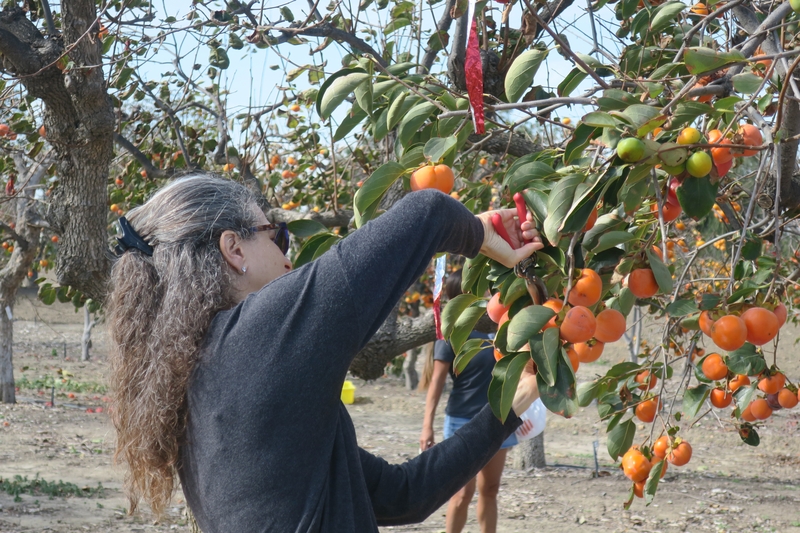 The lack of rain and high temperatures during the bloom which causes the pollen to dry too quickly, did not provide a bountiful harvest of fruit this year. Instead of an open public fruit tasting as has been held in the past, organizers invited interested members of the community to attend a workshop. A group of fifteen attended the Persimmon Harvest Workshop held on November 16, 2018 at the South Coast Research and Extension Center. 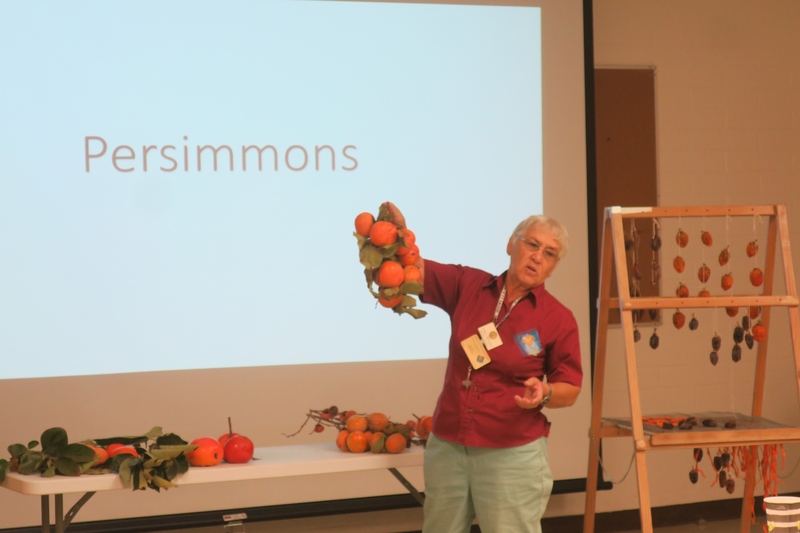 Here to learn cultural practices from UCCE Master Gardener Isabel Barkman, and ways to incorporate this fall delight into recipes from UCCE Master Food Preserver, Joanne Byrd, the attendees were treated to a demonstration from both on how to dry persimmons using the Japanese Hoshigaki method and modern techniques with electric food dehydrators. Following the lectures, workshop participants took a tram ride out to the South Coast REC Persimmon Germplasm Collection for a rare opportunity to harvest Hachiya varieties in addition to other available varieties while learning about pruning and getting helpful tips from UCCE Master Gardener volunteers. 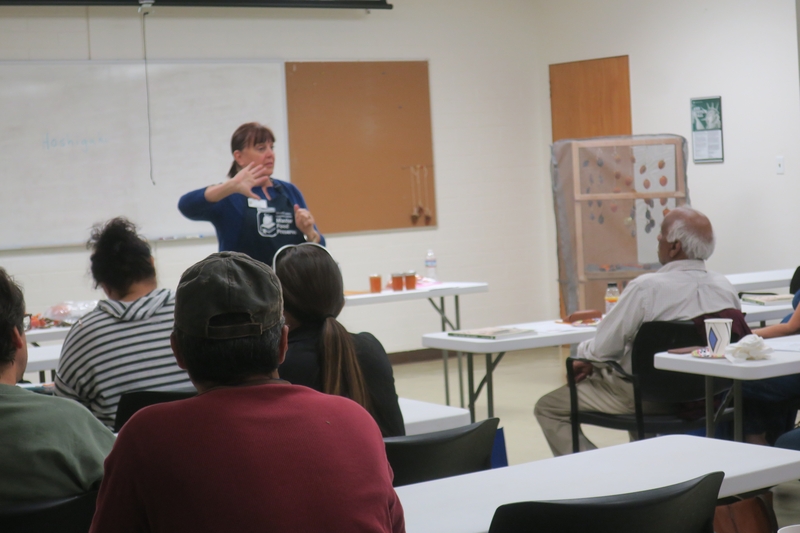 Many thanks to the staff; UCCE Master Food Preservers and Master Gardener volunteers who assisted with this workshop. 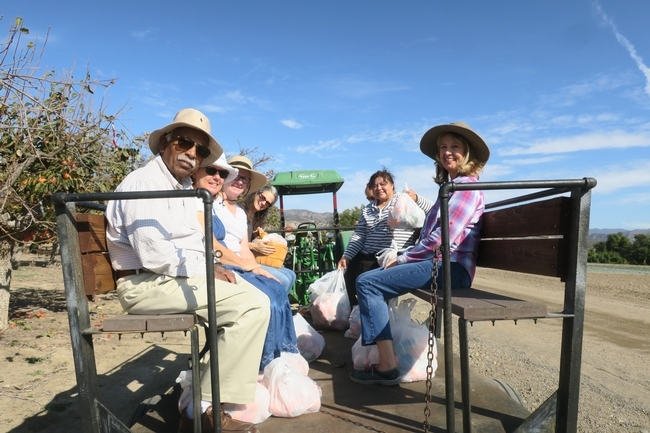 Very special acknowledgment to the team of volunteers led by Isabel Barkman assist with our orchards year-round and for their hard work harvesting, labeling, and preparing the persimmons and cherimoyas for this event.